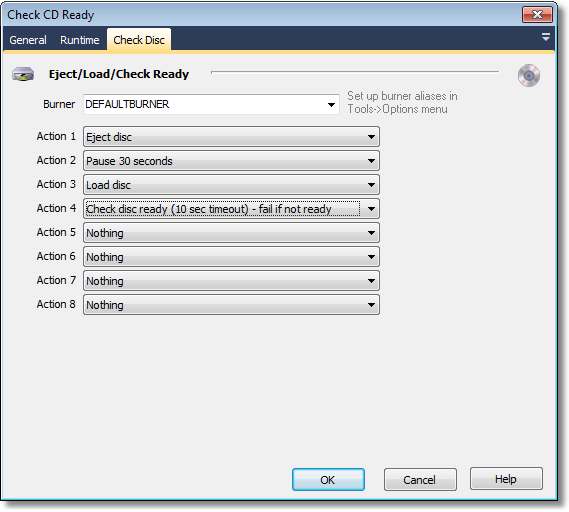 This action allows you to automate to some degree the process of loading a CD into the burner, and making sure the burner is ready to burn before attempting to burn to CD. An example which shows the use of this action is installed in the FinalBuilder\Examples\CDBurner directory. Note that to use this action you need to define an alias for your burner first (see here for more info).